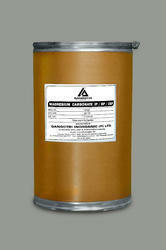 Magnesium carbonate, MgCO3, is an inorganic salt that is a white solid. Several hydrated and basic forms of magnesium carbonate also exist as minerals. We are leading Exporter of Magnesium Carbonate. We are offering Light Basic Magnesium Carbonate to our valuable clients. Magnesium carbonate, MgCO3, is a white solid that occurs in nature as a mineral. Several hydrated and basic forms of magnesium carbonate also exist as minerals. We have an exclusive range of Magnesium Carbonate (IP-BP) offering to our clients. 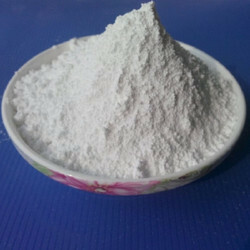 It is a white solid powder processed as per the requisite norms of the industry. Extensively required in the pharmaceutical industries, it acts as a laxative used to loosen the bowels. Our professionals make certain that all the requisite norms are duly followed while processing it. Magnesium carbonate, MgCO 3 , is a white solid that occurs in nature as a mineral. To meet the various requirements of the customers, we are involved in offering a wide assortment of Magnesium Carbonate Powder. Our range of agricultural chemicals includes Carbonate made from top-grade raw materials. We source these chemicals from reputed manufacturers and vendors and employ total quality management program to ensure consistent quality of all the products we provide our clientele.